Excuse the burglar-esque vibes shining through here, it's the stripes. 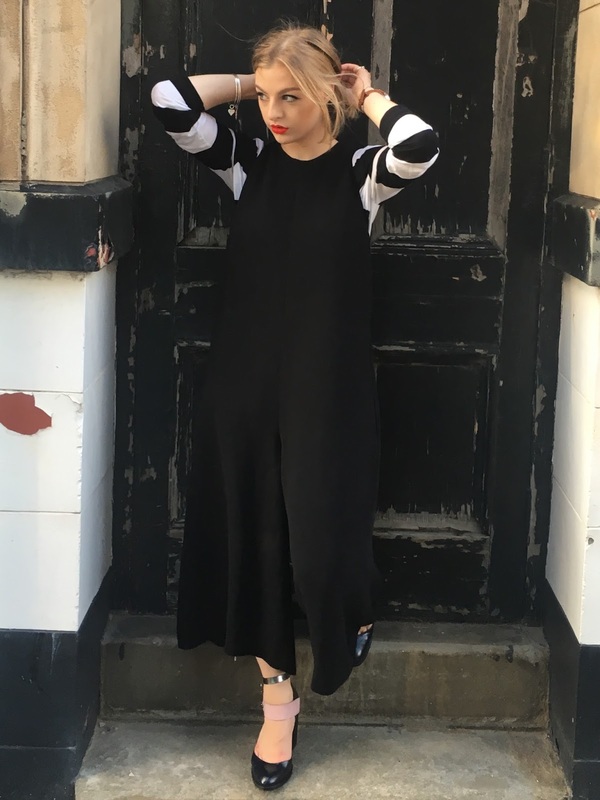 You may recognise this jumpsuit from a previous post if you keep in with my blog. I am so absolutely in love with it, 100% my style - oversized and versatile. I'm just not sure how you can go wrong with a jumpsuit. I've had many ladies of every shape, size and height try them and most of the time I've proven to be successful in finding them a jumpsuit that suits and they feel amazing in! Jumpsuits are SO complementary in my opinion, and ideal for any almost any occasion. If you're yet to try one, I insist you give it a go! I'm not saying you'll march straight into your nearest store, pick up the first jumpsuit you see and have an instant success - you'll need to experiment with different styles to find the one you love. There will be an 'ideal' style for you, it'll just take some trying on. The art of illusion dressing is something I regularly explain to my clients; and jumpsuits are one of the key pieces to do just this. Jumpsuits create an illusion of elongating the body which in turn is both slimming and flattering. The key point in achieving this is experimenting with colour and style - be that the neck line, the waist line or simply going for a one shoulder. I'm a firm believer that there's a jumpsuit out there for everyone; even you!